For a man about 1.80 mtr. 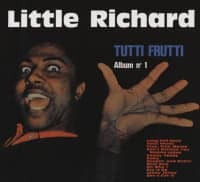 tall, the nickname 'Little' seems to be out of place. 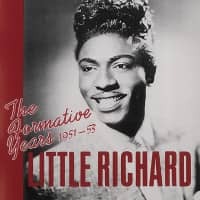 But Little Richard was called that by his 14 siblings in his childhood, because he was still very slender at that time. 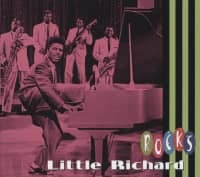 He was born at Christmas in Macon, Georgia and it seemed as if he had a great talent for music and rhythm. 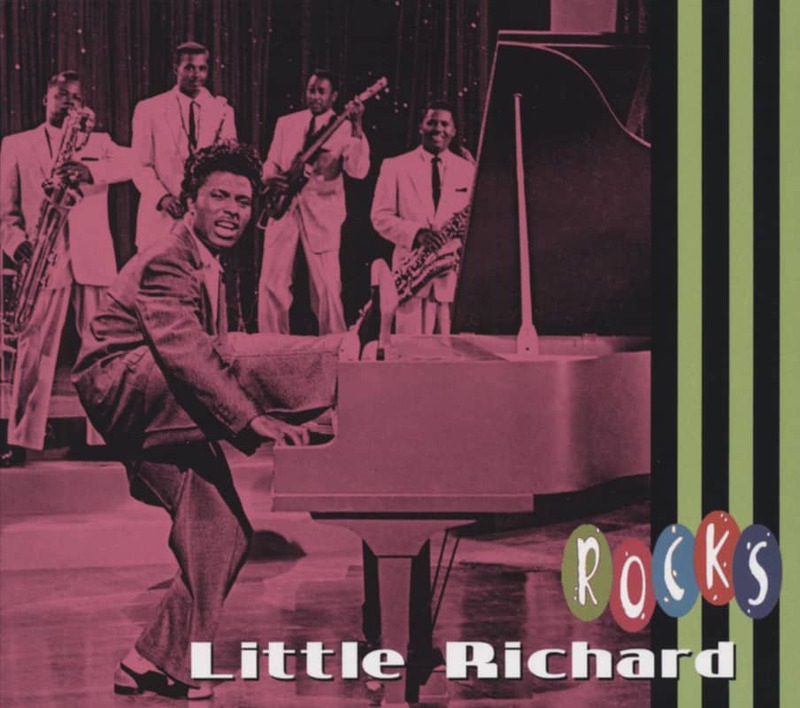 At the age of 7, he sang and danced in the street and collected his first pennies. His great desire to be heard and his talent have already left. 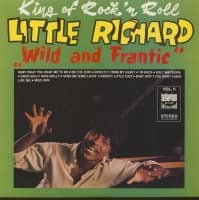 Richard Penniman - Little Richard's real name - is tied to success; the songs on this record prove this. audience and who is able to masterfully parry all reactions of his listeners. That is exactly what makes his performances so desirable and unforgettable. 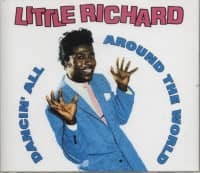 On this record you will hear his greatest successes like'Baby What You Want Me To Do','Good Golly Miss Molly' etc. 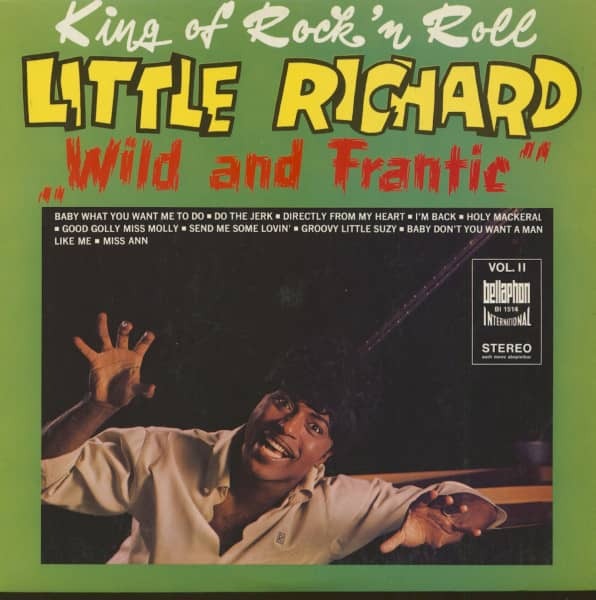 From this record you get the impression of Little Richard, which those of him have, who could experience him on stage. Little Richard has probably had more hits in the bestseller lists than most other singers; he can also look back on a variety of awards, such as the'Billboard Tripple Crown'" Prize,'Cashbox Musiakautomaten Aufsteller' Prize, and was also the most played artist in the Disc Jockey Poll for many years. He has also appeared in a number of films. This LP contains all of Little Richard's great hits, but with more verve and expression than ever before. An ingenious talent in the world of show business. 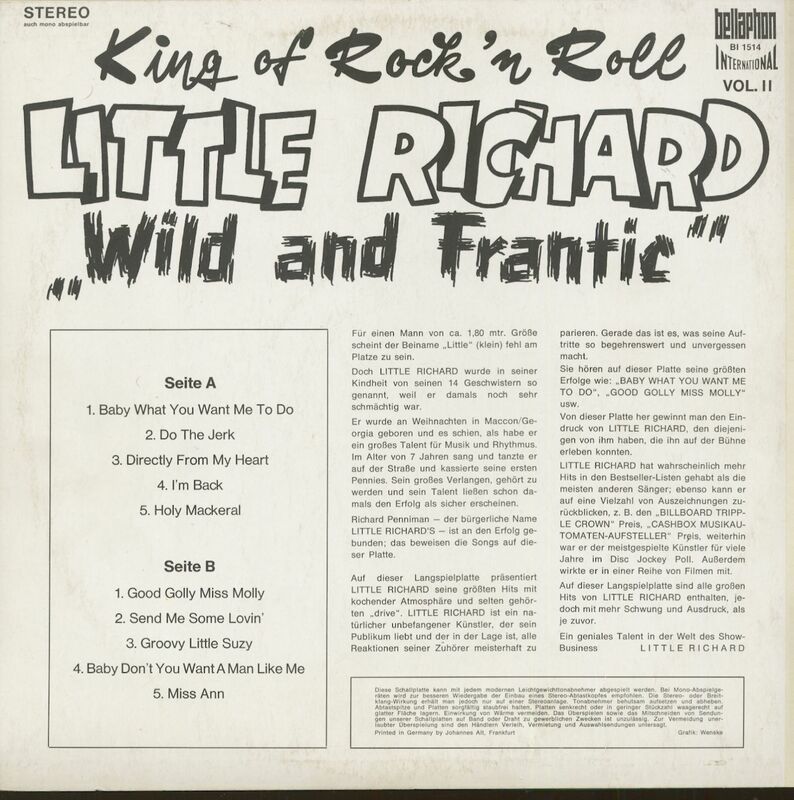 Customer evaluation for "Wild And Frantic - King Of Rock 'n' Roll Vol.II (LP)"